The vice-chancellor circumvented the university statute and KSR by bringing a special resolution in the University General Council. 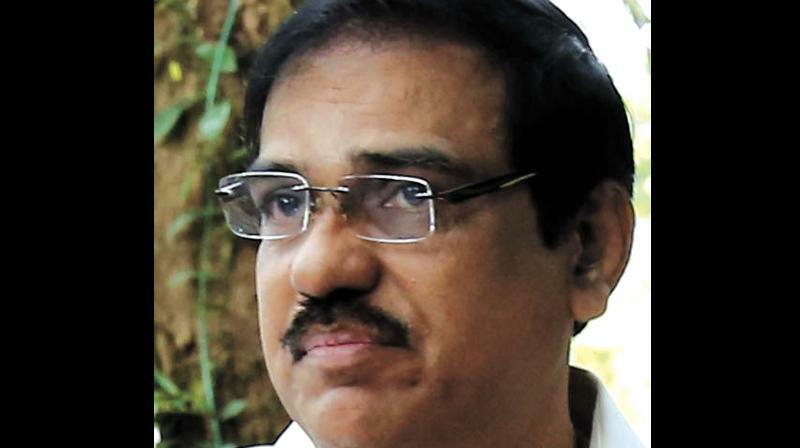 Kochi: Dr A. Ramachandran, Vice-Chancellor of the Kerala University of Fisheries and Ocean Sciences (KUFOS), who created a flutter with a Facebook post saying that the universities in the state are infested with unqualified academics, has courted another controversy. It is alleged that he has been instrumental in protecting KUFOS registrar Dr Victor George who remains in service even two years after his retirement. The VC and the registrar have been accused of violating the relevant university rules and even defying the order of the Governor, who is also the chancellor of the varsity, to remove the registrar from the post. The vice-chancellor has donned the mantle of a whistle-blower to escape the dilemma of protecting an official by violating all statutory norms, sources said. Dr. George was due to retire from service on April 19, 2017. According to Kerala Service Rules and the statues of KUFOS, the retirement age of the registrar is 56 years or a five-year tenure whichever is earlier. As Dr George attained the age of 56 before the completion of the five-year tenure, the university did not have any option other than to relieve him from services. The vice-chancellor circumvented the university statute and KSR by bringing a special resolution in the University General Council by raising the retirement age to 60, say representatives of a section of staff members and student unions. The decision, however, hit a roadblock as KUFOS statute makes it mandatory that resolutions passed by the general council needed the approval of the Governor and the state government. Both the governor and the government declined to approve the resolution. According to the critics of the vice-chancellor, he has disregarded the directive of the Chancellor and the state government and kept the retired registrar in service. The issue turned murky with Dr George approaching the High Court seeking a stay on the decision of the chancellor and the state government and the state government issuing a directive to all universities to limit the retirement age of registrar to 56 or four years of service in the post. The Governor, meanwhile, issued an order on March 29 to terminate the services of the registrar immediately. Sources said Dr. Ramchandran came out with the Facebook post to wriggle out of the present situation donning the mantle of a whistle-blower for upholding excellence in academic standards. “We are planning to submit a representation to the Governor, the Chief Minister, education minister and fisheries minister on the matter,” said a leader of the staff union who sought anonymity. In his Facebook post, Dr. Ramachandran alleged that around 200 academics without the requisite qualifications fixed by the University Grants Commission were holding various high positions in universities in Kerala drawing a huge salary in the range of Rs 200,000 per year. He also said that he was ready to provide proof for this if a court- monitored probe was ordered in the matter.